This is a new load of Knoll Morrison coming out right now. There are more of these stations to come in the near future. Each used cubicle is a 6X8 and comes with one box box file, one Knoll lateral file and two assist lift overhead storage bins. 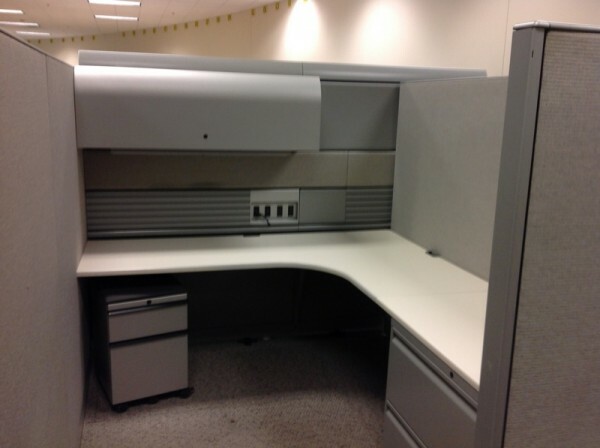 Cubicles come with glass stacker option and a drop down from 65″ to 48″. We currently have 65 of these available.